Eva Galambos was the Jewish mother who brought the city of Sandy Springs into existence and nurtured it through childhood. 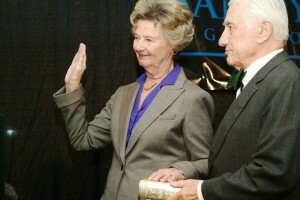 For three decades, Galambos was the leading advocate for transforming a section of Fulton County into Georgia’s first new city since World War II. 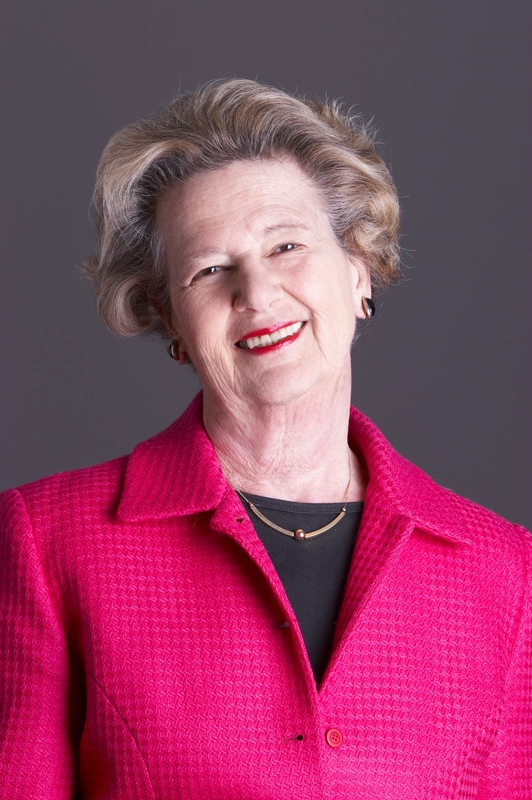 When that effort succeeded, she was elected its first mayor in 2005 and served until 2013. Galambos died of cancer Sunday, April 19, at age 87. Sandy Springs is home to a significant Jewish population (an estimated 15,000 in Sandy Springs and adjacent Dunwoody) and to synagogues and Jewish day schools. Her death brought tributes to Galambos from Jewish religious, communal and political leaders. “Eva was an incredible, pioneering leader who helped turn an anonymous suburb into a true community. She combined a strong will and a gentle touch,” said Rabbi Joshua Heller of Congregation B’nai Torah, a Conservative synagogue in Sandy Springs. “We had the honor and pleasure of hosting Mayor Galambos at synagogue events. She was always humble and gracious. She showed genuine interest in the development of our community. Together with our City Council representative, Tibby DeJulio, the mayor was a great supporter of religious institutions, valuing their roles and presence in Sandy Springs,” said Rabbi Yossi New of Chabad’s Congregation Beth Tefillah. Galambos and her husband, Dr. John Galambos, were early members of Temple Kehillat Chaim after its founding in 1982, when the congregation was a “wandering Jew,” renting space in Buckhead and Sandy Springs. Its founder and spiritual leader, Rabbi Harvey Winokur, officiated at Galambos’ funeral April 21 at the temple. When the congregation found a permanent home in Roswell in 1987, Rabbi Winokur thought he might lose the Galamboses as members, especially because Eva was so prominent in the effort to make Sandy Springs a city. But they stayed and remained involved, contributing members. “She appreciated being able to worship in peace,” Rabbi Winokur said, adding that Galambos was anonymous to much of his Roswell-centric congregants. She briefly served on the temple’s board, but cityhood for Sandy Springs was her priority. Galambos told her story in “A Dream Come True: A Very Good Life,” her 2011 autobiography. She was born into a family of secular Jews in Germany. Eva Gabriele Cohn’s earliest memories included walking on a Berlin street with her mother. When the Nazis came to power, her father, Sigmund, was forced from his job as a judge, and the Cohns fled Germany in 1933 for Genoa, Italy. When Mussolini imitated Hitler’s anti-Jewish laws, the family moved to the United States in 1938. After arriving in New York, they settled in Athens, where her father secured a position teaching law at the University of Georgia, thanks to the support of a Jewish refugee organization and Atlanta lawyer Harold Hirsch. Though she spoke little English when she arrived, Eva Cohn graduated as valedictorian of her class at Athens High School on D-Day, June 6, 1944. It also was her first exposure to large numbers of Jewish children. The following three summers she worked as a counselor at another Jewish camp in upstate New York. She went on to earn a bachelor’s degree in business administration from the University of Georgia (1948), a master’s in labor and industrial relations from the University of Illinois (1949, at age 20, the first woman to be awarded that degree) and a doctorate in economics from Georgia State University (1969). Galambos’ husband, John, is a native of Budapest, Hungary, who was liberated from the Bergen-Belsen concentration camp by U.S. troops in 1945. He immigrated to the United States in 1947. They met at the University of Georgia and married in 1949 at a synagogue in Athens. He graduated in 1952 from the Emory University School of Medicine and became a gastroenterologist, and John and Eva had a daughter and two sons and six grandchildren. The Epstein School honored Galambos in March 2012 as part of a yearlong theme of recognizing role models, “and with the mayor’s many years of dedicated service to our city, the school could not imagine a better role model in the community to honor,” read a news release at the time. “Mayor Galambos has had a long relationship with our school. When the school had applied for new zoning, she was extremely fair and objective in managing the situation. Her common-sense approach spoke to who she was: someone unafraid to take stands,” said Stan Beiner, the head of the Epstein School from 2002 until April 17 this year. “The mayor spoke to our students several times on visits to Epstein, but my favorite moment was when she came to spend time with us during our Holocaust Education Week. Each year, we invite survivors to speak to our students and host them for a luncheon. Mayor Galambos joined us for the meal and told her story. The exchange between her and the survivors was touching. She went on to share her story with students as well. On that day, I got a unique glimpse into what made her so unique. She had a quiet resilience that had come from her childhood,” Beiner said. “Without her tenacity, her fortitude, her intellect and her sheer will,” not only might Sandy Springs never have become a city, but without its example other new cities, including Johns Creek, might never have been incorporated. Two days before her death, the commission honored Galambos, a member of its board, with its 2015 Humanitarian Award, crediting her with bringing the exhibit “Anne Frank in the World: 1929-1945” to Sandy Springs. The Galambos family asked that memorial donations be made to the exhibit or to a charity of the donor’s choice.